Most wheel cleaning brushes are designed to be used with handheld power tools, although some heavy duty industrial ones are made to be installed on larger pieces of equipment. A wheel cleaning brush can have a circular hole at the center so that it can fit as an attachment on an angle grinder, or it can have a stem for use with a power drill. Wheel Cleaning Brushes Most wheel cleaning brushes are designed to be used with handheld power tools, although some heavy duty industrial ones are made to be installed on larger pieces of equipment. 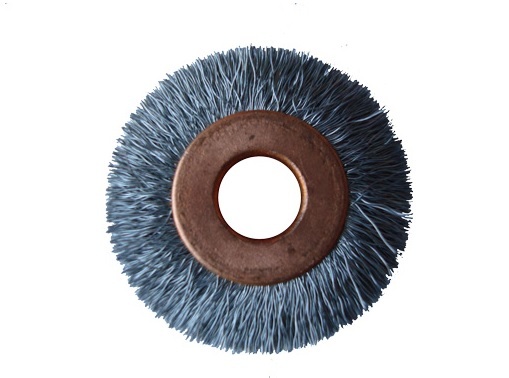 A wheel cleaning brush can have a circular hole at the center so that it can fit as an attachment on an angle grinder, or it can have a stem for use with a power drill. Wheel cleaning brushes are used for cleaning in industries like agriculture, solar energy, aerospace, firearms, glass processing, woodworking and more. Because wheel cleaning brushes can be purchased in a variety of sizes and used with regular power tools, they are a cost efficient and highly controllable method for polishing and cleaning delicate or intricate parts. Wheel Cleaning Brushes – Gordon Brush Mfg. Co., Inc. They are useful in many industrial applications, but they are also utilized by hobbyists and handymen who use them to put the finishing touches on a new project. 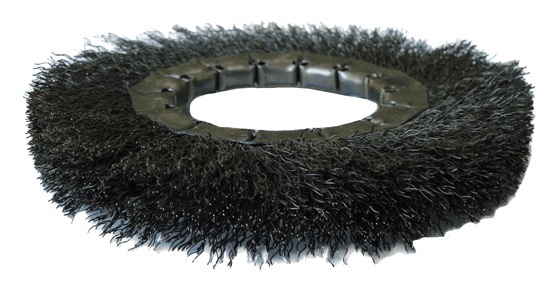 Small wheel cleaning brushes are also useful in equipment maintenance when machines in an industrial setting have to be taken apart and cleaned from time to time. Often the many small parts and shapes of a machine make it difficult to reach many areas, but a wheel cleaning brush helps to do that effectively. 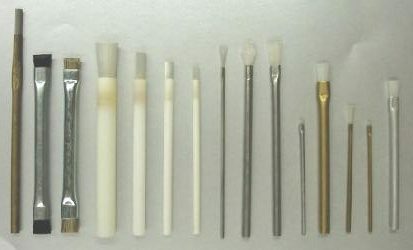 Manufacturers of wheel cleaning brushes usually offer custom solutions to major clients who need brushes that match the specifications of their equipment. Sometimes accessories are no longer manufactured for old equipment that is still in use, so a custom wheel brush can be ordered to fit the machine. Product engineers can take the exact specifications of the old brush and design something the same or similar that works with the existing machine. Small wheel brushes for power tools can usually be purchase in standard sizes from a hardware store.